What do you think about Nordica Santa ana 110? Simple in the turns, stable at high speed and also easy to handle in the piste. Can sometimes feel heavy on the feet. 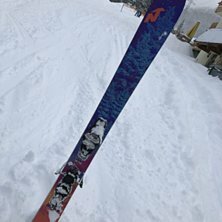 Tested this ski in St Anton when it had over 40 cm powder snow. This was the first time I went off-piste outside Sweden and otherwise I go Santa Ana 93 but these Santa Ana 110 were perfect in pillows according to me. 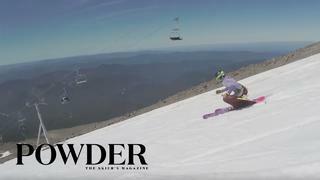 Easy to swing with and stable at higher speeds, also think that they were easy to handle in the piste. If I have to say something negative with these then it is that I sometimes felt that they were a bit heavy on their feet but it could also have been due to the snow or that I got tired in my legs so there was nothing that disturbed me. Nordica Santa Ana 110 is a powerful, stable ski that locks the mountain for every woman who wants to take her skiing to the next level. The wood core is a combination of lighter wood and the core contains layers of titanium and coal, which is the basis of the stable characteristic of Santa Ana 110.